Contemporary styled two bedroom apartments with all the conveniences you need for an enjoyable stay in The Garden City. Add the Newtown Park State Rose Gardens to your to do list! 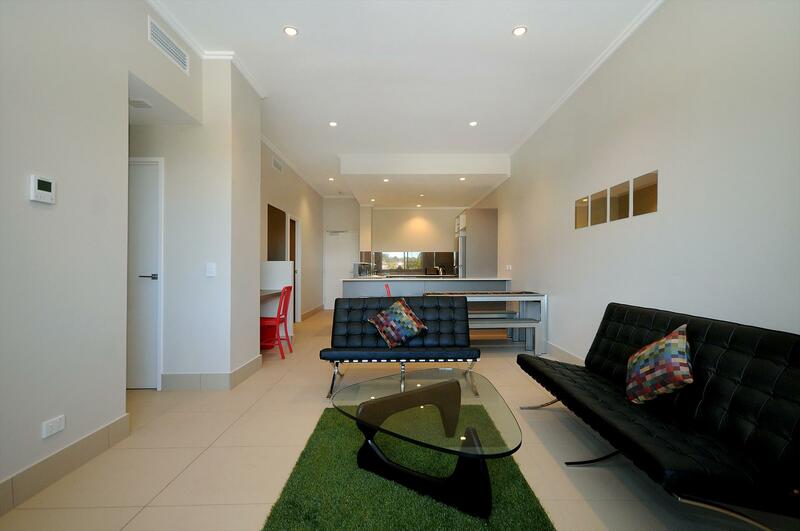 Laguna Apartments is situated in the heart of ‘The Garden City’, Toowoomba. It is a two minute stroll from the CBD surrounded by the city’s lush gardens and international restaurants. 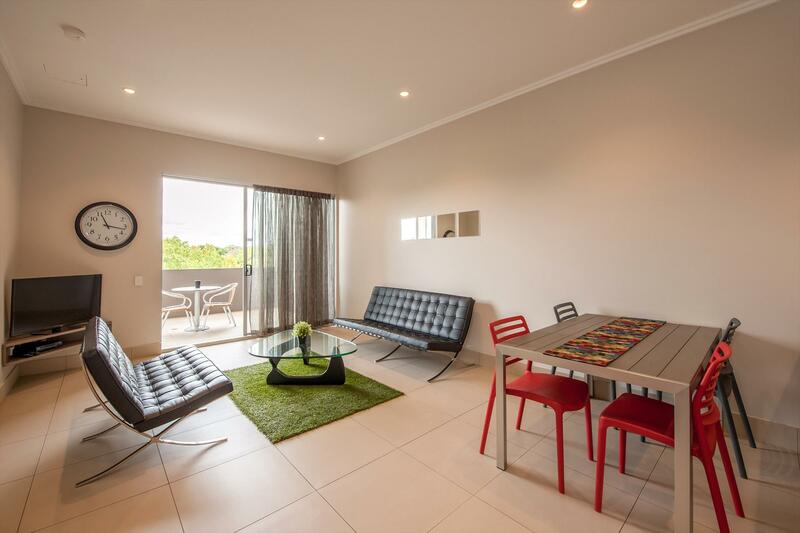 It features contemporary styled and generously sized two bedroom apartments with sweeping views across the city. Whether you are travelling for business or leisure, Laguna Apartments will have everything you need for an enjoyable stay. All apartments include a fully equipped kitchen complete with a dishwasher, microwave and ceramic cooktop. You will also find individual laundry facilities and a separate bathroom. For your entertainment each apartment has two flat screen televisions, DVD player and Foxtel with over 80 cable channels. If you are travelling for business there is a laptop desk and NBN wireless internet access as well. These contemporary styled apartments feature a private balcony where you can unwind and take in the stunning views of The Garden City. Laguna Apartments is central and self-contained accommodation, the perfect base for travellers visiting Toowoomba. One hour and 30 minute drive from Brisbane. 20 minute drive from Toowoomba Wellcamp Airport. If cancelled or modified up to two days prior to check-in no fees will be charged and you will receive a full refund of deposit. If cancelled or modified later or in case of no-show as a penalty the deposit of one nights stay will not be refunded. very large one bedroom apartments with separate powder room, individual laundry facilities and full sized, fully equipped kitchen with dishwasher, combined microwave convection oven with grill, ceramic cooktop, kettle, toaster and fridge and all kitchen utensils. The room caters for a maximum of two guests. Spacious two bedroom apartments with separate powder room, individual laundry facilities and a full sized, fully equipped kitchen with dishwasher, combined microwave convection oven with grill, ceramic cooktop, kettle, toaster and fridge and all kitchen utensils. 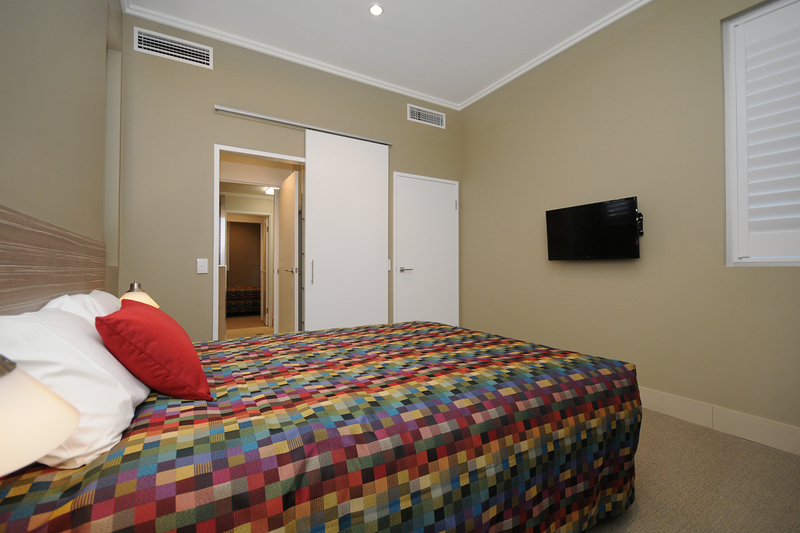 Comfortably furnished in a modern style, our apartments feature reverse cycle air conditioning, two flat screen TVs, a DVD player, individual Foxtel with over 80 cable channels, a laptop desk, and NBN wireless internet access. Unwind on your own private balcony and take in superb views over the city. The room caters for a maximum of four guests. Spacious two bedroom apartments with separate powder room, individual laundry facilities and full sized, fully equipped kitchen with dishwasher, combined microwave convection oven with grill, ceramic cooktop, kettle, toaster and fridge and all kitchen utensils.